When AMC announced that they were producing a tv show set in the early days of the computer industry, I felt like it was written with me in mind. I’ve been interested in the history of the computer industry since middle school (I wasn’t the cool kid in class), and I’ve devoured book upon book about the early days of the personal computer. When AMC announced that they were producing a tv show set in that era, featuring Lee Pace in the leading role, I felt like it was written with me in mind. Halt and Catch Fire is set in 1980s Texas, where a trio at a computer company – a visionary, an engineer and a prodigy programmer – sets out to build a personal computer to take on Big Blue (IBM). The trio is led by Joe MacMillan, a former IBM executive who hides his inner demons and troubled past behind a charming exterior. He’s a man with something to prove. 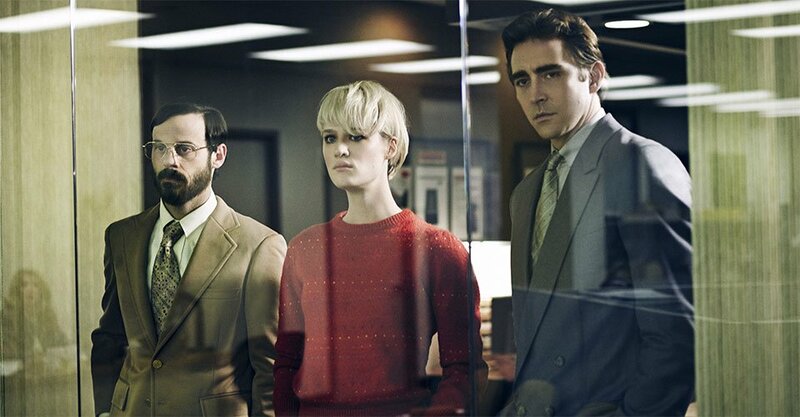 If you like Mad Men, you should definitely give Halt and Catch Fire a chance. If Joe MacMillan sounds somewhat reminiscent of a certain someone from another AMC show that just aired it’s final season, it’s because he is. Halt and Catch Fire and Mad Men have a lot in common, but there’s enough differences between the two to keep you on your toes. Still, if you like Mad Men, you should definitely give Halt and Catch Fire a chance. If you like Mad Men and have an interest in the history of the personal computer, like me, it’s a must-see.